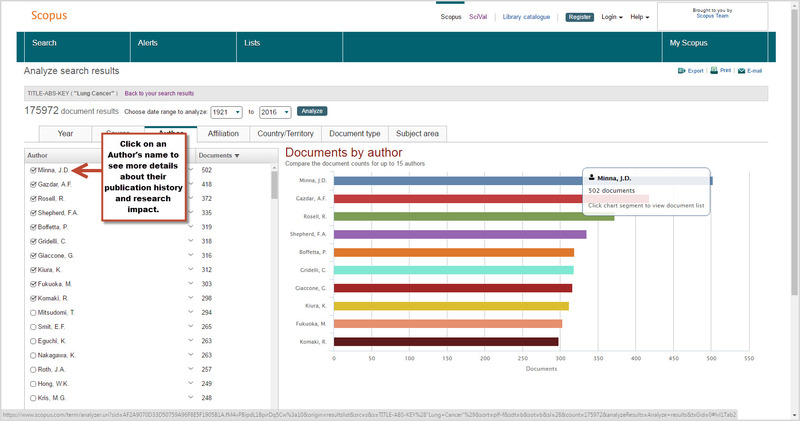 We can also look at the <Author> tab to find that the researcher with the most output relating to our “Lung Cancer” search is Minna, J.D. 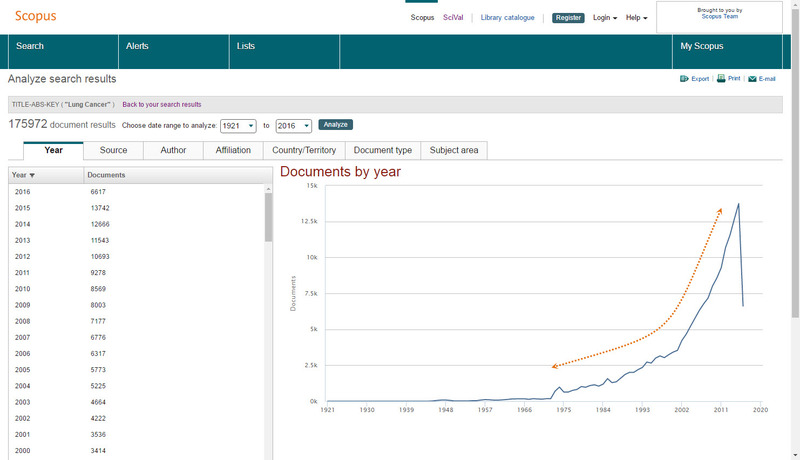 (502 related documents). 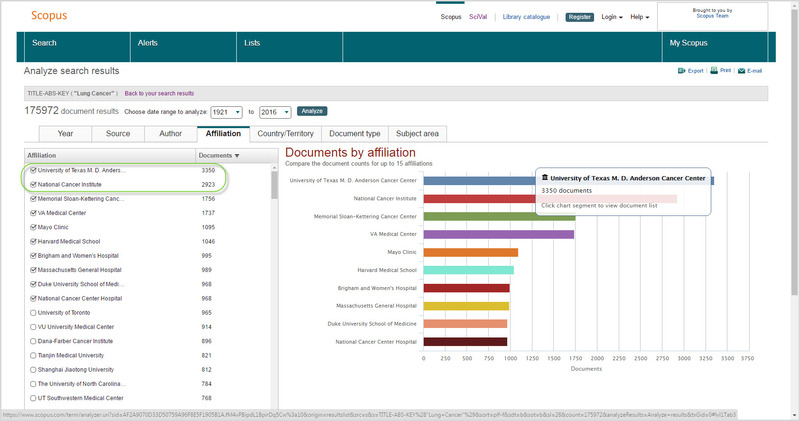 This is just one example of the type of insights Scopus can help you find from a search on Lung Cancer. 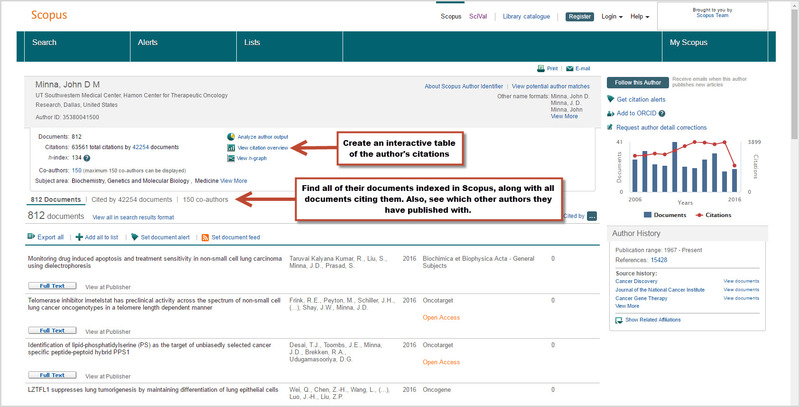 You can also choose to begin with a more specific search or refine your search to yield a more targeted results set relating to cancer research. 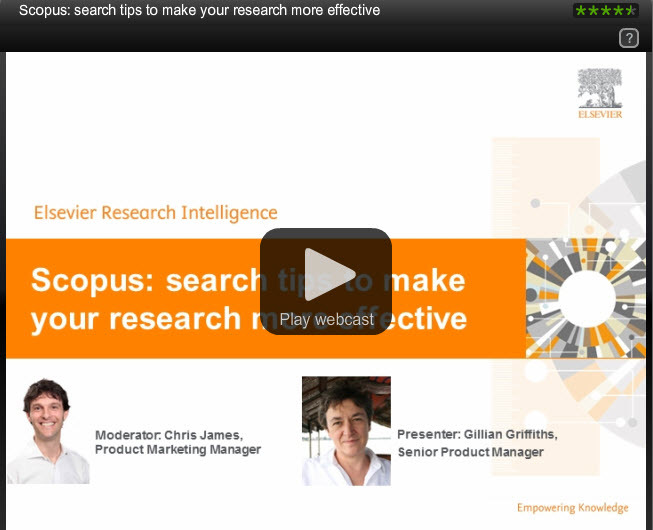 To learn more about searching in Scopus and how to improve your search strategies, watch this webinar hosted by Senior Scopus Product Manager, Gillian Griffiths.